Baltimore, MD - The City of Baltimore, Md. recently toured the New Way® plant while doing a Pilot inspection on the first of many bodies New Way® will be building for them. The City of Baltimore has over 100 rear and front load New Way® bodies in their fleet. 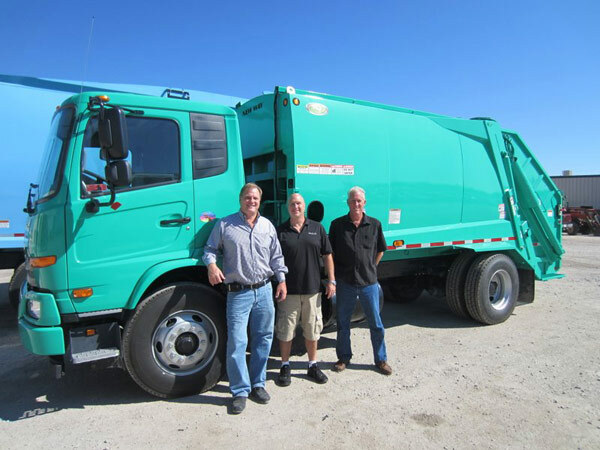 Pictured (L-R) is Will Chetalet, from New Way® dealer Maryland Industrial Trucks, Rick Optiz with the City of Baltimore and Kurt Brown with the City of Baltimore.